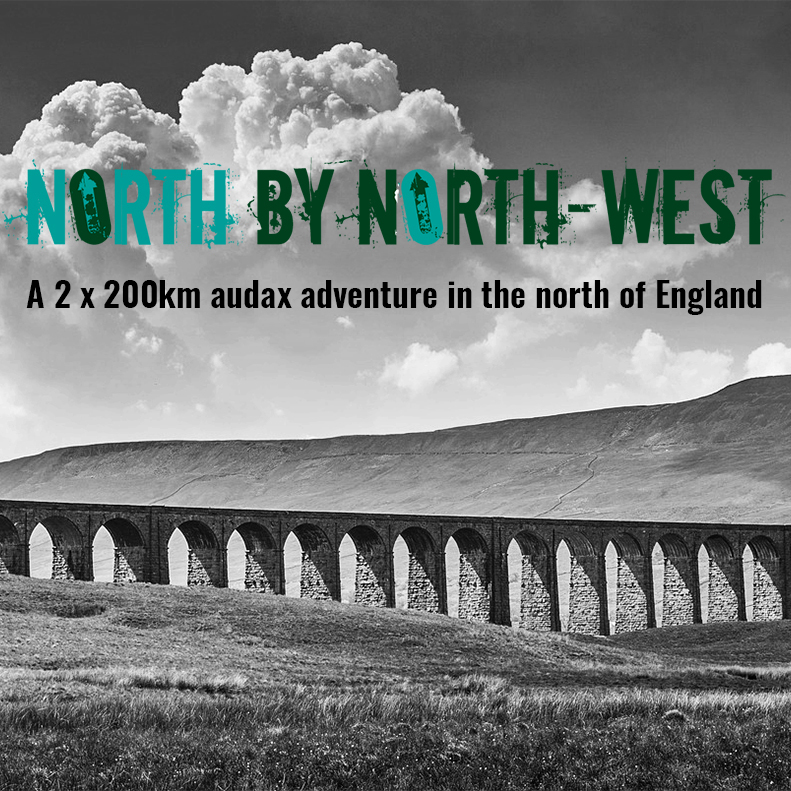 So, if you’ve been wondering about the radio silence over December, it’s because we’ve been beavering away trying to get our shorter event, North By North-West, organised. Two back-to-back 200km audaxes with an overnight bivvy / basic camp in-between. Entires are via the official Audax UK website and they open on January 26th. We’ve been bowled over by the number of entries that we’ve received. Deciding to organise an endurance cycling event in a Paris-Brest-Paris year and hold it during the peak of the qualifying ride period, we weren’t really expecting to receive too many entries, especially as there are so many great new events springing up all around the world to choose from. Aside from a few posters and flyers scattered around our local area in Sheffield, we’ve only used Instagram and Facebook to promote the event, so it was a bit of a surprise to receive 52 completed applications within the first half hour of going live. Entries have settled down overnight but we’re now informing all future entrants that they’re going to be placed on a waiting list. However, not all of those initial entrants have paid their entry fee invoice yet so a few of those places may become available again. Once we’ve received everyone’s payment, hopefully by the end of this week we will be ready to publish a provisional rider list online. Since we announced the entry date last week, we have had an overwhelming response of registrations of interest, including a fair number from riders who have never taken part in an event like this before. This has caused us to rethink the way we’re going to manage the application process on Monday when entries open. We want to make sure that everyone who enters All Points North is fully aware that it will be an unsupported event and understands the implications of what that means. So, to try and ensure that this happens, the application process will be as follows. On Monday at noon we will upload the entry page to the site. Here you will find an entry form to complete with a series of conditions that you’ll need to read through and a box to tick for each one. There will also be a section for you to fill in where we ask you to give examples of prior experience of looking after yourself during similar events or other outdoor activities. You don’t need to regale us with tales of great bravery, we just need you to demonstrate that you have a good understanding of the event format and the potential risks involved. In order to visit some of the control points you will need to cycle through remote moorland and exposed terrain and we need to be comfortable that you have the skills and equipment to look after yourself should a situation arise. Once we’ve received your completed form and checked that it’s all OK, you will be emailed a link to pay online via Square Register. This link will remain active for 48 hours, after which the place will be offered to another entrant. The ‘personal statement’, along with the 48-hour time gap, allows you to have some time to reflect on your entry rather than just pressing a button and paying the entry fee. We are also aware that there’s a long time period between now and next May and your circumstances can change, so if you need to cancel for any reason, as long as you cancel before February 24th, 2019, you will receive a refund minus a £10 admin fee. This provides us with a 12-week gap to offer the place to another rider and enable them to have enough time to train to take part. After February 24th we aren’t going to offer refunds as we think it won’t allow us enough time to fill the place and give the new entrant enough time to get ready, and we don’t really want to encourage unprepared riders to take part. Full details of all ten control checkpoints are now available! You need to start and finish in Sheffield but the rest of the route is up to you. Just validate your arrival at each control with a timestamped photo of your bike and answer the question on your brevet card. 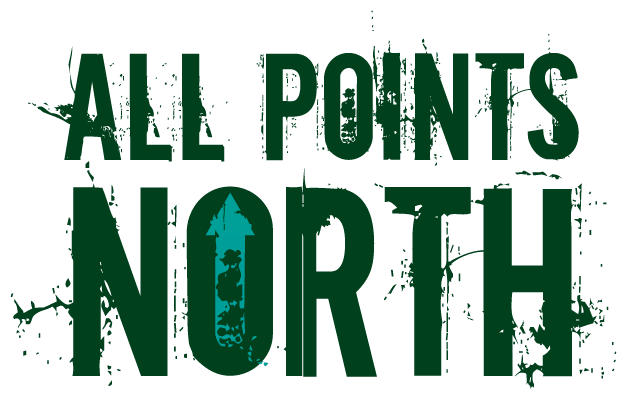 We will be accepting entries for the inaugural All Points North event from midday on Monday 12th November 2018. Places will be limited to 45 solos, 10 pairs and so if you’re keen to take part in this event you need to be quick off the mark on Monday lunchtime! Please take the time to read our Event Rules before entering to make sure you understand what is required and feel free to contact us if you have any questions. Right now we are in the process of choosing our ten control points, which is quite difficult as there are so many beautiful locations in the north to choose from. 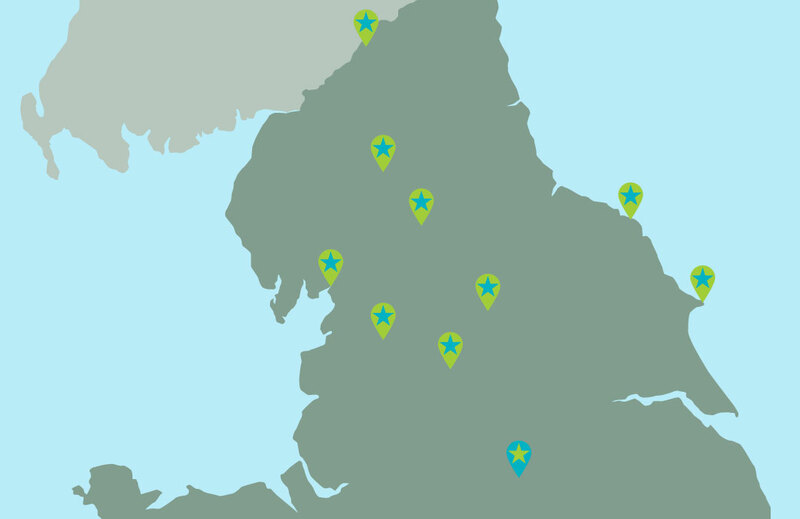 We are choosing locations that cover the breadth of the region, from coast to coast and right up to the border with Scotland. We’ll also be checking the distances between the controls in lots of different combinations to make sure that it’s possible for riders cover their overall distance in no less than 900 km and no more than 1000 km. The control points will be finalised before November when entries officially open. We are also debating whether to issue GPS spot trackers to entrants or whether to ask them to self-validate via smartphones and social media. Although it would be great fun for supporters, friends and family to be able to track riders’ progress via an online ‘dot’, at the end of the day it all comes down to cost. We know that the cost of entering events can become prohibitively expensive and wanted to try to make this event as financially accessible as possible. Using spot trackers could push the entry fee up to close to £100, which we think is a little steep, so we’re still figuring out which way to go with this. So that’s about it for now. We will be in touch again in November with more details about the ten control points, how to enter and what the cost will be.